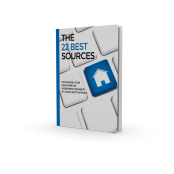 Find The Best Deals On Apartment And Office Space Rentals Here! We have access to hundreds of affordable rentals including apartments, office space, and medical space. Be the first to be notified when a new rental is added to our inventory! Complete the simple form on this page to be added to our Renters Hot List and receive details about available rentals in your area first! © E.S.E.P. Management Group, LLC All Rights Reserved.